Regional Transmission Organization (RTO) Midcontinent Independent Systems Operator (MISO) is exploring ways of changing market rules to facilitate grid-integration of battery and energy storage assets. Doing so would open the doors for industry participants to generate revenue streams from utility and behind-the-meter energy storage systems, including those in microgrid installations. RTOs across the U.S. are doing likewise. California’s CAISO has advanced the farthest when it comes to instituting new market rules that have advanced battery and energy storage deployments. MISO has been considering the issue since 2009, when it became the first RTO to include short-term energy storage applications into its tariff scheme. Technologically, advanced battery storage systems can provide a variety of essential grid functions, from voltage and frequency regulation to spinning reserves and emergency back-up generation. Also of significance, they facilitate integration of intermittent renewable power generation and can help reduce carbon and greenhouse gas (GHG) emissions. ENERGY STORAGE: GENERATION OR TRANSMISSION ASSET? Policy-wise, that flexibility continues to fuel debate among utilities and independent power producers and other industry participants, vexing regulators. “We’ve had kind of fits and starts with this issue … but as far as having a clear policy, well, that’s never happened,” MISO External Affairs Policy Advisor Jennifer Richardson was quoted as saying in an RTO Insider news report. The MISO Market Subcommittee held an energy storage workshop on January 5. As one of 5 RTOs and 9 Independent System Operators (ISOs), MISO provides open-access power transmission service and monitors the high voltage transmission system throughout the Midwest and Manitoba, Canada. Recently, it integrated a southern region that encompasses much of Arkansas, Mississippi, and Louisiana. 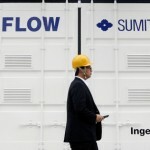 It also operates one of the largest real-time energy markets in the world. Headquartered in in Carmel, Indiana with operation control centers in Carmel and Eagan, Minnesota and Little Rock, Arkansas, MISO was the first to be designated an RTO by FERC in 2001. Its 51 transmission company members include investor-owned and public power utilities and cooperatives that manage more than 65,000 miles of transmission lines. 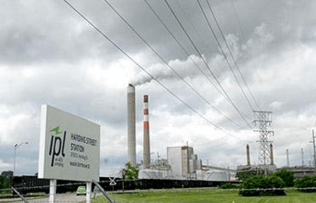 Governed by a 9-member Board of Directors, MISO in January, 2009 added an ancillary services market, such as voltage and frequency control, operating and spinning reserves, to its real-time and day-ahead power markets. That opened the door for short-term energy storage deployments – flywheels and batteries – in its service territory. 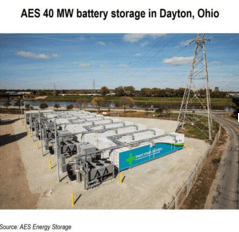 This past July, AES Corp. subsidiary Indianapolis Power & Light Co. (IPL) broke ground on the IPL Advancion Energy Storage Array, the first utility-scale advanced battery-based energy storage facility in MISO’s 15-state service territory. Being built at the Harding Street Generation Station in Indianapolis, the energy storage array is to provide 20-MW of interconnected storage, or 40-MW of flexible resource. Project completion is expected this June. AES has forged a place as a leader in advanced battery deployments internationally. AES has completed 116-MW worth of energy storage projects and has another 268-MW under construction. Indiana Governor Mike Pence highlighted the positive impacts clean energy investments are having on job creation. “Energy affordability and reliability are top priorities for Hoosiers,¨ he stated. For its part, MISO is incorporating public feedback regarding new policies and market rules that would provide financial returns for medium- and long-term energy storage applications in advance of a Market Subcommittee meeting scheduled for February 2. 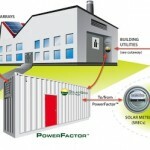 MISO instituted new rules that compensate providers of short-term grid-connected energy storage capacity into its rulebook in 2009.